IRIS and ROY JOHANSEN will discuss and sign their newest thriller, Close Your Eyes. The New York Times bestselling duo are back with a suspenseful novel about a once-blind woman with a talent for tracking serial killers. The FBI doesn’t usually consult with music therapists to solve their cases, but Kendra Michael’s astonishing powers of observation and analysis have made her a favorite of law enforcement agencies all across the country. Former FBI agent Adam Kyle, known as The Puppetmaster, has weapons of his own. He’s a notorious master manipulator, skillfully handling criminals and colleagues alike to get the results he wants and now he needs Kendra’s special brand of help. She’s not interested – that is, until Kyle reveals that Agent Robert Stedler - Kendra’s ex - is missing, and may have crossed paths with a serial killer. What began as a heinous murder investigation escalates into something even larger and more frightening: a multi-million dollar conspiracy to hide a secret that’s worth killing for, again and again and again. IRIS JOHANSEN is the New York Times bestselling author of Eve, Quinn, Bonnie, Chasing The Night, Eight Days to Live, Blood Game, Deadlock, Dark Summer, Pandora’s Daughter, Quicksand, Killer Dreams, On The Run, Countdown, Firestorm, Fatal Tide, Dead Aim, No One To Trust and more. ROY JOHANSEN is an Edgar Award winning author himself, and co-author with his mother Iris of Storm Cycle and Silent Thunder. He has written many well-received mysteries, including Shadow Zone, Deadly Visions, Beyond Belief and The Answer Man. Iris Johansen discusses Close Your Eyes. ; Roy Johansen discusses Close Your Eyes. Iris & Roy Johansen -- new release! Iris Johansen signs Shadow Zone. ; Roy Johansen signs Shadow Zone. Iris Johansen , Silent Thunder. Bestselling author Iris Johanson and Edgar Award-winner Roy Johanson team up for an explosive, tour-de-force thriller. It was the assignment of a lifetime. A U.S. maritime museum has just acquired the decommissioned Soviet submarine Silent Thunder for public exhibition. It’s marine architect Hannah Bryson’s job to make sure that every single inch of the legendary nuclear attack sub is safe for the thousands of visitors anticipated. Hannah’s brother Connor is killed after discovering a mysterious message behind one of the ship’s panels, and Hannah’s only hope for survival is to unravel the sub’s explosive secret. Iris Johansen signs Silent Thunder. ; Roy Johansen signs Silent Thunder. Iris Johansen was born on April 7, 1938. She worked for a major airline formany years and traveled extensively. After her two children, Tamara andRoy, left home for High School, she decided to devote her newfound free timeto writing. Since she loved reading romance novels, she penned a love story,and found to her surprise that "I was just as voracious a writer as I was areader." During the 1980's, her name was emblazoned on dozens of slendervolumes featuring spirited adventuresses, passionate mystery men andsmoldering love scenes. These days, Iris is one of a posse of former romancewriters dominating the New York Times bestseller lists: Jayne Ann Krentz,Nora Roberts, Linda Howard, Tami Hoag, Sandra Brown and Tess Gerritsen allcame up through the category-romance ranks. Iris Johansen's writing hobby became a career after she sent her firstromance novel in to Bantam Loveswept. Early on in her career, she developedthe habit of following characters from book to book, sometimes introducingminor characters in one novel who then become major figures in another. Shedeveloped families, relationships and even fictional countries in herromance novels, which "stretched the boundaries of the standard formulas,"according to Barbara E. Kemp in Twentieth-Century Romance and HistoricalWriters. In 1991, she broke out of category romance (a term for short bookswritten to conform to the length, style and subject matter guidelines for apublisher's series) with The Wind Dancer, a romantic-suspense novel set in16th-century Italy. 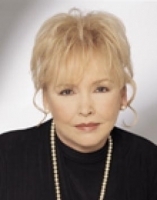 She followed it with two sequels, Storm Winds and Reapthe Wind, to form a trilogy, then wrote several more stand-alone romancenovels before The Ugly Duckling was published in 1996. The UglyDucklingwas her first book to be released in hardcover, and the firsttosignificantly broaden her readership beyond her romance fan base. Sincethen, her plots have gotten tighter and more suspense-driven; critics havepraised her "flesh-and-blood characters, crackling dialogue and lean,suspenseful plotting" (Publishers Weekly). Some of her most popular booksfeature forensic sculptor Eve Duncan, who first appeared in The Face ofDeception in 1998. But she seems equally comfortable with maleprotagonists, and her books have crossed the gender division that oftencharacterizes popular fiction. Indeed, Publishers Weekly called TheSearch "that rarity: a woman's novel for men." Now, Iris Johansen is a bestselling writer, who has more than twenty millioncopies of her books in print and has won many awards for her achievements inwriting. "My writing schedule is very disciplined. I try to be up in myoffice by nine every morning and I work until I've completed at least tenpages. Sometimes that takes four or five hours, sometimes ten or twelve. Itdepends on the flow, the research, and the pace at which the characters aremoving the story. There are times when the story is streaking like a bullet.Then I just hang on and stay with it. I do have a research assistant, mydaughter, Tamara. I wouldn't know what to do without her. She's invaluablein finding out both the small details and the big picture, though I do makeher want to pull her hair out in frustration sometimes when I ask her ifthere isn't a way we can make a certain plot point happen. But then shestarts to dig and quite often comes up with a way that can be truthful andfactual and still keep my story humming." Iris lives near Atlanta, Georgia, where she is currently at work on a newnovel, while her daughter, Tamara Brooking, serves as her researchassistant. Her son, Roy Johansen, is an Edgar Award-winning screenwriter andnovelist, and they have collaborated in some projects. Iris Johansen's book Chasing the Night was available from LibraryThing Early Reviewers. Iris Johansen is currently considered a "single author." If one or more works are by a distinct, homonymous authors, go ahead and split the author. Iris Johansen is composed of 14 names. You can examine and separate out names.